I own two smartwatches. I wear zero smartwatches. I can’t wait to buy the Apple Watch. Yes, though I’m no fan of its name, I’m eager to get my hands on Apple’s new smartwatch (and, correspondingly, to get it on my hands). My excitement about the Apple Watch can be traced to two key factors: It looks miles better than the ones I already own. And I’m a flawed human. I already own the Pebble and the MetaWatch Frame. I was a Kickstarter backer for the former, and reviewed the latter. I like them both, but again, I don’t wear either one. Let me explain. One thing that drew me to both watches—and I admit this publicly knowing that I will sound incredibly odd—is that I spent decades (really) wishing I could own a digital watch that showed analog-style hands. I can’t explain why, beyond the fact that I saw some (expensive) examples of the style in my youth. I just know I wanted one. 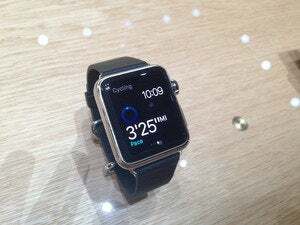 So one key advantage of the smartwatch era is that such devices are possible, (relatively) affordable, and powerful. Of course, smartwatches are more than simply their faces. They also take notifications from your smartphone and send them to your wrist. That’s good and bad. When your phone’s in your pocket, or on the table near you, there’s a distinct double-buzz problem. 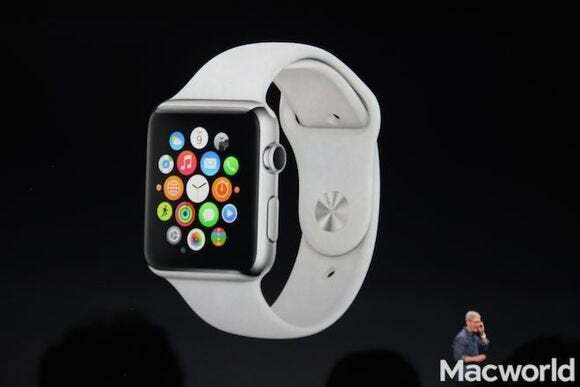 You get text messages (or any other notification), and they buzz on the phone and your wrist alike. That’s annoying. And yet, as I say, I don’t wear either of them anymore. One big problem is the doubling of alerts. These watches are at their most useful when they’re paired to your smartphone. But that means the latter is still near enough to hear or feel its buzz, then check it directly. When I do check the watch, it’s woefully inadequate. I can’t reply to a text with the watch. If I see the subject line of an email, I can’t read the rest of the message. The smartwatches I own, surprisingly enough, tend to feel kind of dumb. And while I’m sure this will be obvious to many readers, I’ve been disappointed that smartwatches are no less invasive or obnoxious in practice than the smartphones to which they are tethered. I had hoped that being able to subtly glance at my watch instead of at my iPhone’s screen would help me review notifications without offending the other person or people I was with. Of course, in reality, you’re just the jerk glancing rudely at your watch instead of glancing rudely at your phone. The Apple Watch should have a couple of significant advantages over the two competitors I already own. For one, I assume it will pair (and re-pair) to my iPhone more easily than the MetaWatch and Pebble, which seem to forget all about my iPhone far too often. Color isn’t the only benefit about that screen; I anticipate two others: Its interface design is (not surprisingly) dramatically superior to those of the competitors I’ve tried. Even better, it’s touch-sensitive. Tapping and force-touching grant the Apple Watch interactivity, which Pebble and SmartWatch simply can’t offer. So while I don’t think smartwatches are perfect yet, and while I am wholly confident that watch-checkers are just as obnoxious as incessant phone-checkers, I do still want the Apple Watch, and I expect to pre-order one as soon as I can. It may not be perfect, but it’ll be better than what I’ve got now.